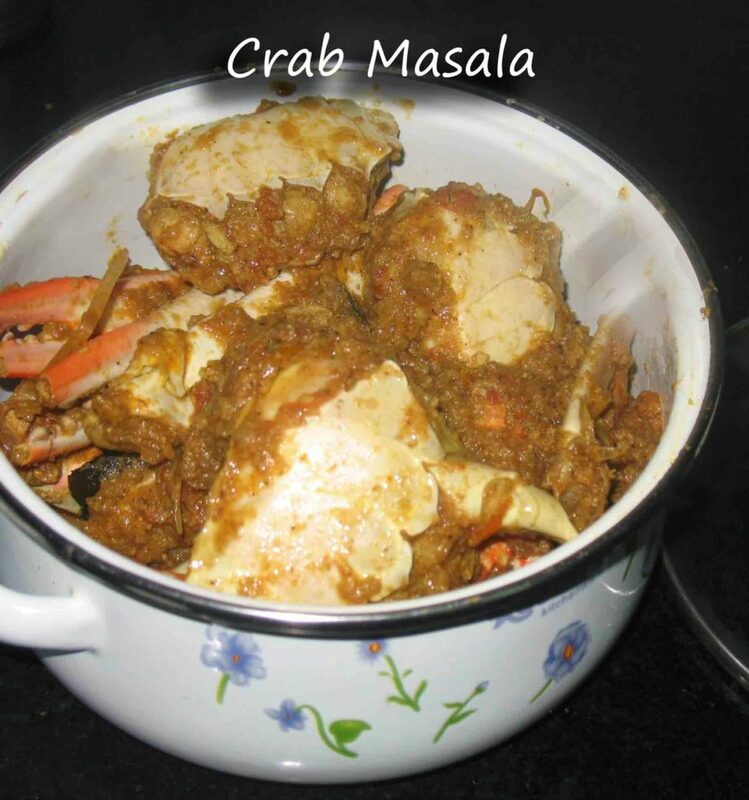 Crab is one of most favorite sea food… love to have crab at any time… already i’ve posted Crab Curry and Crab Rasam in this Page , this is a semi dry recipe… it goes well with Hot steamed Rice..
And the masala is the special here… i used sea crab here, and recommend my viewers to use the sea crab… some will have allergy with Sea food.. Hope you all Like this recipe.. Try this and let me know how it turned out for you…. * Grab all the ingredients(oops asusal i miss to keep the ginger garlic paste in the first pic), Clean the crab in running water, finely chop the onions and tomatoes, and grind the Coconut, Poppy seeds and Fennel seeds to a smooth paste. * Heat the Kadai with oil and temper it with Cinna mon, Cardamon, Cloves, jeera, bay leaf and Curry Leaves. * Saute the onions for few mins. * Add the Chopped Tomatoes..
* Cook till they are mushy..
* Add the Cleaned crab pieces, put some salt..
* Cover it and cook on medium flame for 5 mins.. the color will change..
* See how the color changed here..
* Add the Grinded paste..
* Add 1 cup of water and mix them well with the masalas. * Cover them and cook till the water dreis up..
* Reduce the flame to medium and cook them till the water dries up..